Kasargod, May 4, 2016: Reports have come in that with the Kerala Assembly elections very near, Prime Minister Narendra Modi is scheduled to visit Kerala to take part in the election campaign, between May 6 and 11. He is set to be in Kasargod on May 8, Sunday. 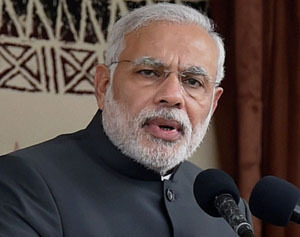 PM Modi, not far away at an election rally that will be held at Kasargod on May 8 at the Municipal Stadium; PM Modi is expected to take part and address the voters. He is expected to take part in about five rallies throughout Kerala.